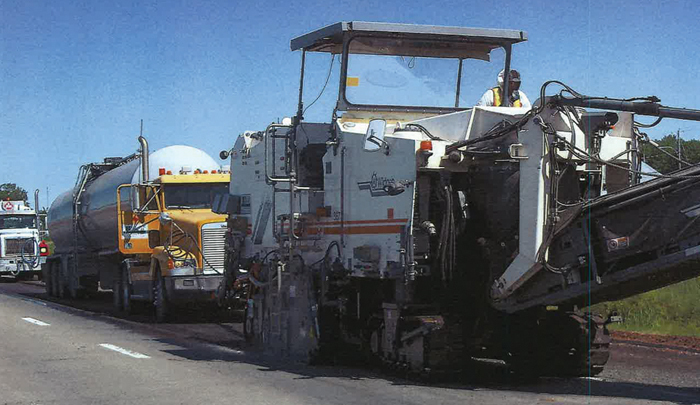 Asbestos-containing pavement leveling requires special precautions and disposal of such residues must comply with strict environmental requirements. Jean Leclerc Excavation is extremely proud to offer such specialized two-tier service. When we opt for the stabilized method, we inject a bitumen emulsion within the leveled surface layers so the asbestos residues can clump together, and keep us from toxic dust or fumes. As for the dry method, we collect the pavement, we wrap it up in large sewn bags and we dispose of it in a landfill site approved by the Ministry of Sustainable Development, Environment, and Fight against Climate Change. All work is conducted in a skillful manner and in compliance with all applicable environmental standards.